Shall We Chalet? (943) is described by Essie as a “seductive ruby”. It’s a midtoned red cream with a hint of a jelly to its formula. The red itself is fairly neutral, with perhaps a slight lean to the cool side. The shade is bright, though I would not call it vibrant. 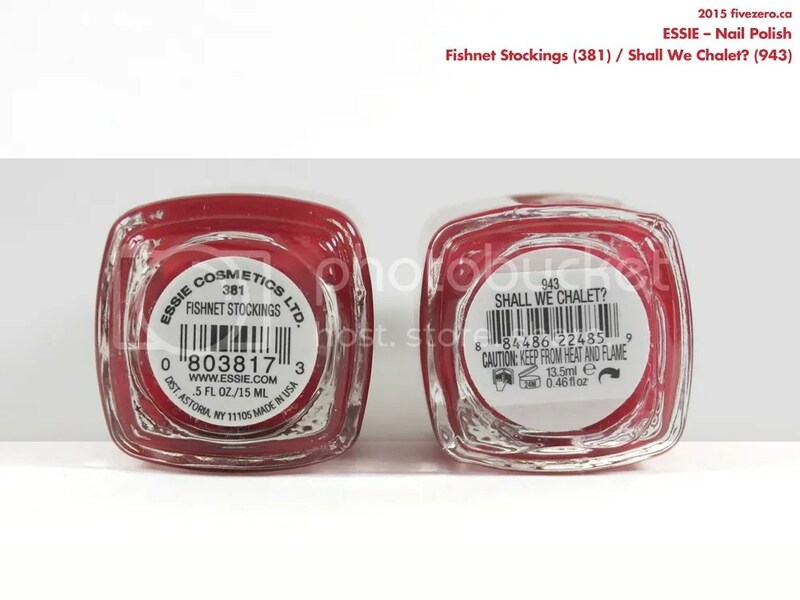 It is very, very close to an older, classic Essie, Fishnet Stockings (which I’ll post for Throwback Thursday, is a slightly more intense shade. The color is pretty much identical, and in dim light, it would be hard to tell the difference between the two. However, in sunlight, you can kind of tell that Fishnet Stockings is richer and more vibrant. 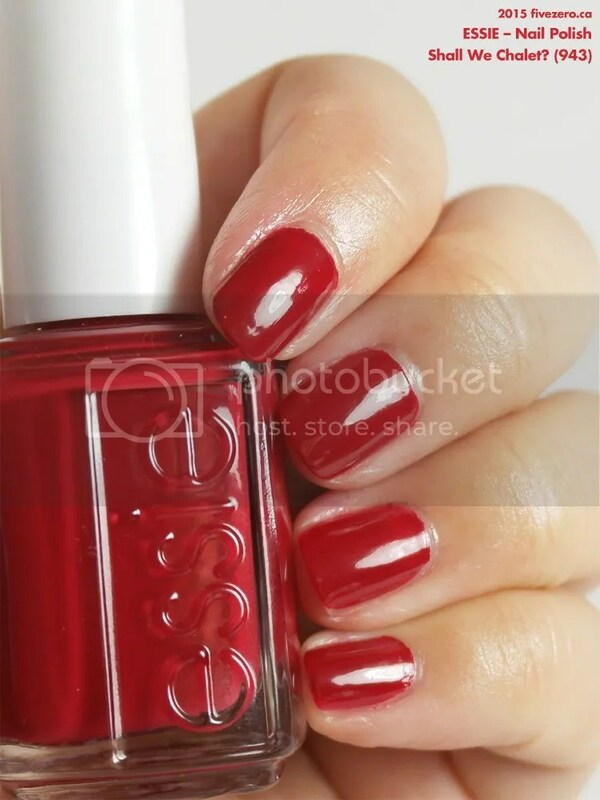 There’s a reason Fishnet Stockings is still around in Essie’s core collection! Here, in sunlight, you can maybe tell that the thumb is a little more intense in color. Or maybe not. I’m biased because I can see it in person! Please note that my bottle of Fishnet Stockings is quite old; I’m not sure whether Essie has changed the formula at all since its initial release in Winter 1999. 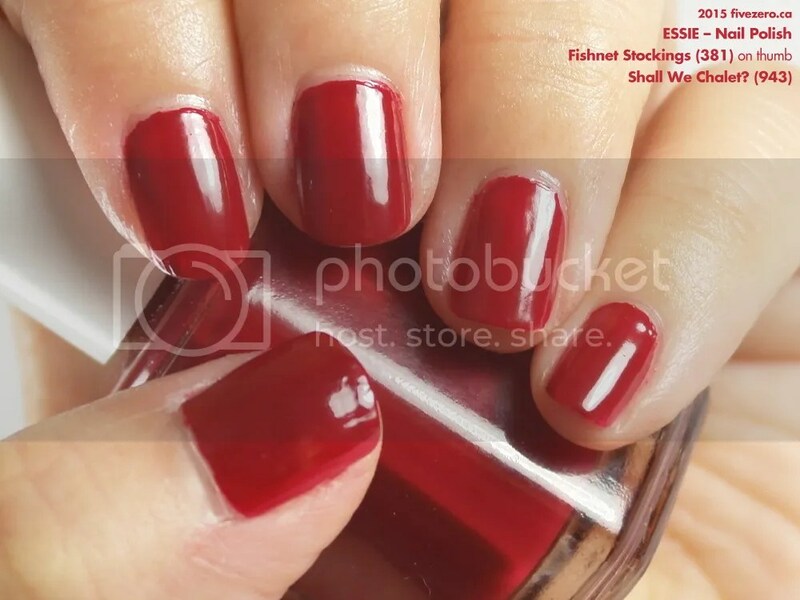 Onto Shall We Chalet?—the formula has a vaguely jelly-like consistency, but it is quite opaque once on the nail. Two coats gives you full opacity, though I’d be tempted to add a third just to get it looking perfect. It dries to a reasonably glossy shine. 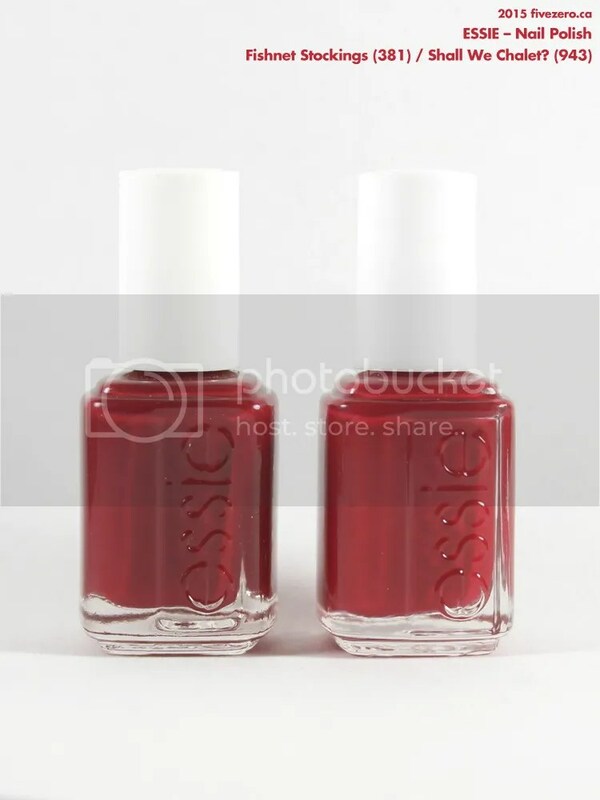 Mostly, I’m disappointed that Essie chose to release a “new” shade that is so incredibly close to an existing classic shade! It’s so unnecessary. At least re-release a dupe of a discontinued shade, if you’re going to go that route! In this particular case, I still prefer the original, so I’d say skip Shall We Chalet in favor of Fishnet Stockings. But, if you already have SWC, you don’t need FS. Unless you’re a red-crazed, like I am! But they’re both nice colours. I wonder if I have something like it in my stash. I don’t have Fishnet Stockings – I’ll wait until your review tomorrow to see which formula is better although I do like a jelly-like consistency! Haha, I was trying to figure out the pun, too! Shall We…Dance? is the only phrase I can think of. But that doesn’t seem right. Who knows. Hahaha nothing. I’m happy to see it! They do look identical to me! At least I know I can buy one and skip one- I have neither so far. You definitely don’t need both! 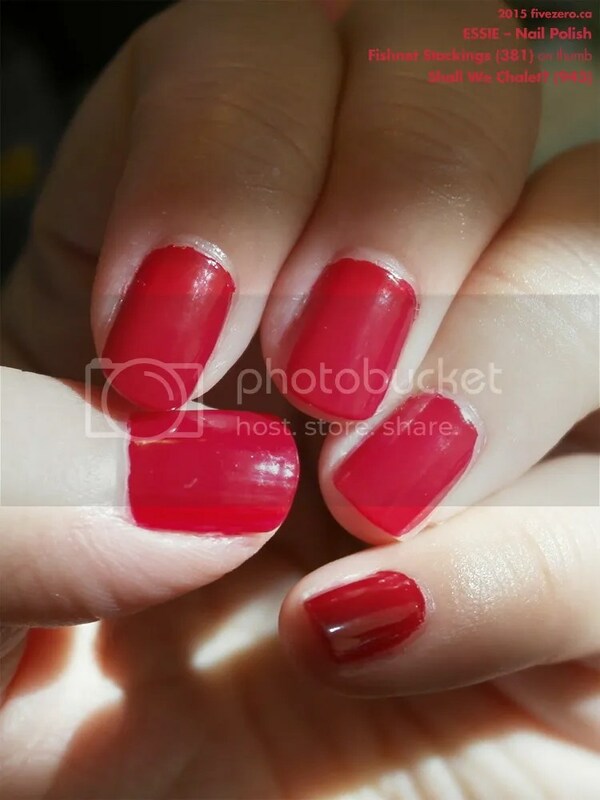 I love red nails and its my all time favourite.